We have seen how technology can change the world and now, more than ever, it is changing our approach to national security. Our military leaders are preparing America for the future, making sure that our defense capabilities outmatch those of our rivals around the globe so that we may keep the peace here on earth and above. Space has shown itself to be the next frontier of national security. America must be prepared for the new risks and challenges this brings. America cannot sit idly by as China and other adversaries invest heavily in programs that would disable or destroy satellites in orbit above the earth. The development of next-generation rockets is critical to preparing for the future of our national security and deterring and defeating threats in space. Our nation is uniquely advantaged by, and dependent upon, space. We must maintain this ultimate high ground and deter others bringing warfare into this domain. If deterrence fails, we must prevail in protecting the critical capabilities our space assets provide. When I took over as CEO of United Launch Alliance (ULA) nearly five years ago, our nation was in the midst of a conversation about the future of space access. Two issues needed to be resolved: our nation’s reliance on the Russian-made RD-180 rocket engine, and the lack of a second, reliable launch provider that could meet all national security requirements. Congress, the Air Force, and industry came together to put our nation on a path to resolve these issues and strengthen our national defense. Last October, the Air Force awarded three agreements for next generation rocket development in the most rigorous national security launch competition ever. These public-private partnerships require industry to put skin in the game and fund at least 33.3% of their rocket’s development. ULA is far exceeding that threshold. This year, the Air Force is continuing the competition with Phase 2, which will determine the two launch providers that will support our country’s national security launches for the next decade. The Phase 2 acquisition is a carefully planned program crafted by experts in the Air Force who lived through the launch failures and commercial space market crash of the 1990s. Reliability is paramount when it comes to security in space, and this acquisition process allows the Air Force to set requirements while allowing industry to innovate and reduce the cost of launch. The decision to select two providers is ideal, ensuring the nation benefits from competition and that at least two providers are always capable of performing the most difficult national security missions. Selecting more than two providers would risk the health of those companies, given the flat global demand for launch and the glut of both domestic and global launch providers. It is imperative that our nation has assured access to space for all of its missions and a healthy, robust industrial base to provide that access. 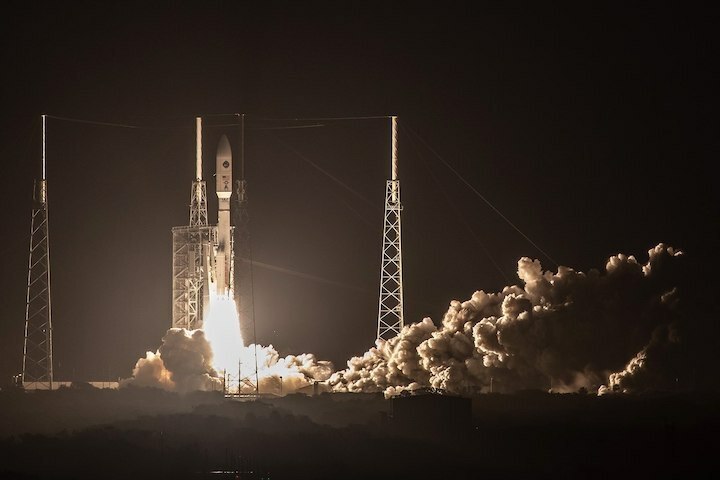 Additionally, Phase 2 winners must meet all national security requirements — and it is important to remember that not all launches are created equal. Some satellites can be loaded horizontally and be flown to relatively simple orbits, in a single shot, literally in a matter of minutes. Others, however, require complex vertical satellite integration, many hours of orbital insertion, complex trajectories, extraordinary precision, and strenuous classified requirements. With each and every type of national security mission in mind, ULA is on track to have a new rocket with increased capability, substantially lower launch costs, and American-made rocket engines — the Vulcan Centaur. Vulcan has been designed as a rocket purpose built for our nation’s needs with an architecture centered on the national security mission set, while providing the flexibility to meet a future of evolving requirements. As America continues to build up its space capabilities, we must remember that national security in space is the greatest objective — and that is how American rockets must be designed. Countries around the globe are building launch vehicles and space defense systems at a rapid pace. Some are investing their country’s national treasure in order to extend future conflicts into space, making it a warfighting domain. The Air Force must ensure America is armed with the most capable rockets available, supported by a robust industrial base, in order to show our strength around the globe and maintain peace and security for all nations.